So at least I can admit it. 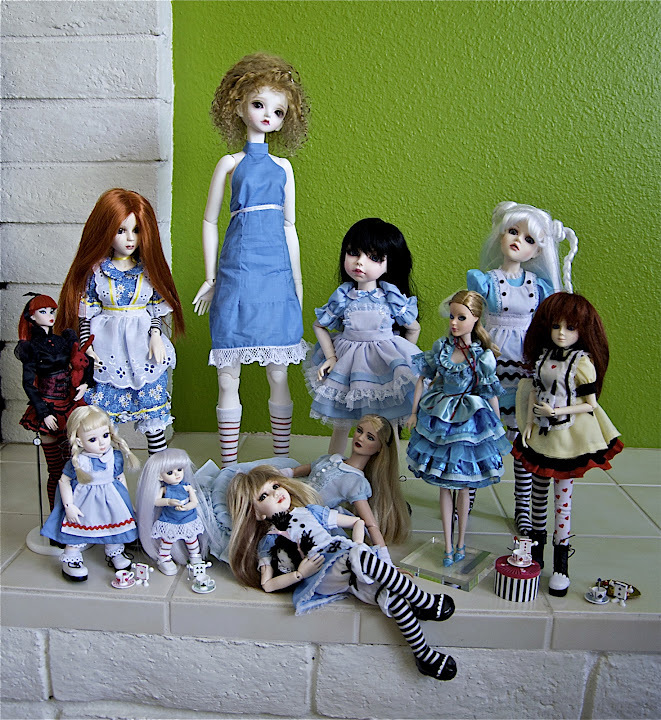 I do have a small Alice problem. 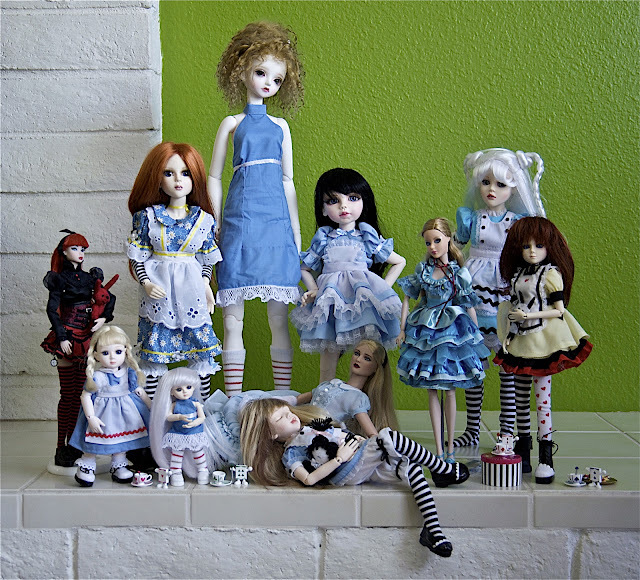 And with the announcement of both Paulette's limited edition Dark and Light Alices--oh dear! 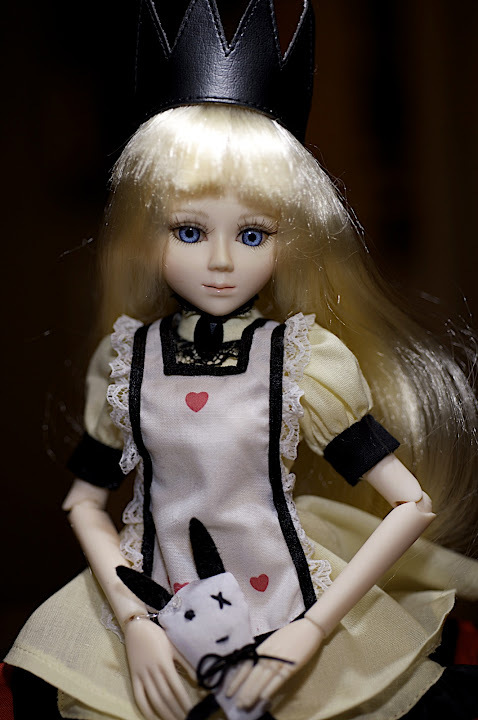 !--and Simply Alice (is she an Alice in Wonderland, Kim??) --I think I might need to start an Alice-in-Wonderland Anonymous group. 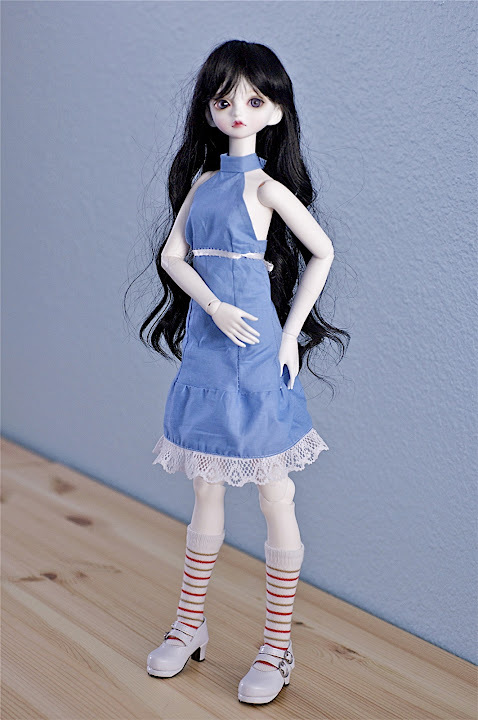 DollZone Morphoa (SD sized) in an outfit by Michele Hardy. Sort of shepherdess Bohemian Alice. 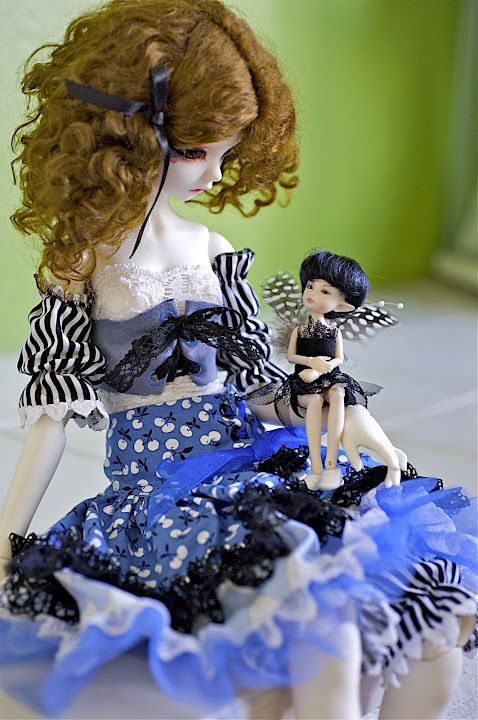 With Kai (Elfdoll Tiny), a very crabby fairy. 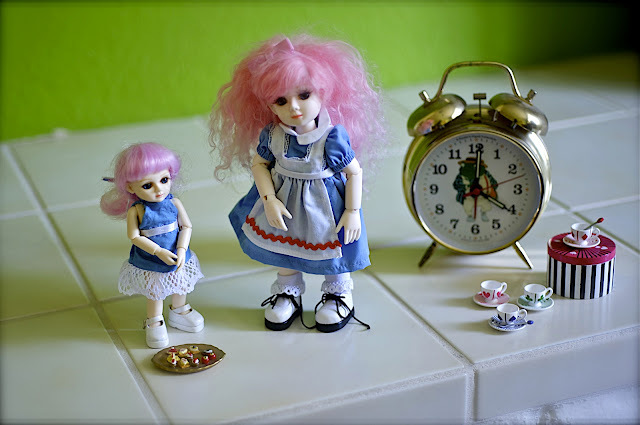 Ashlyn (outfit by Nancie of Nankatts) and Adeline Joy (in Snappy outfit), wigs by Michele Hardy.